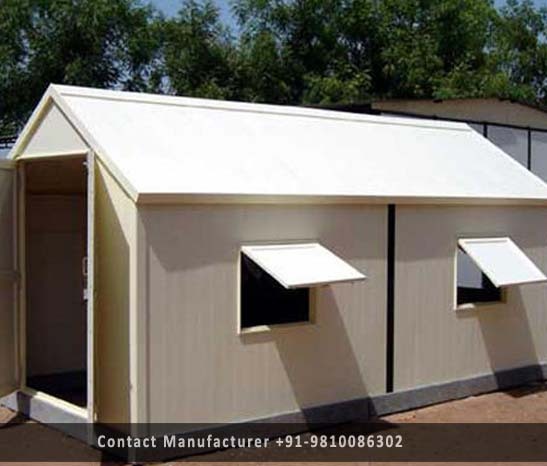 Prefabricated Hut Manufacturer in Delhi, Prefabricated Hut Supplier in Delhi, Prefabricated Hut in Delhi. We have earned a sterling reputation in the industry for manufacturing and trading Prefabricated Hut. The offered Prefabricated Hut is made from high grade of sheets and metals. Used as guardroom, it provides protection against cold, heat and rainfall. Further, this shed is resistant to corrosion, leaks and fire. It can be supplied in bulk as well.